This is a beautiful imitation of the original Plants vs Zombies game where you need to withstand all zombie waves using plants. 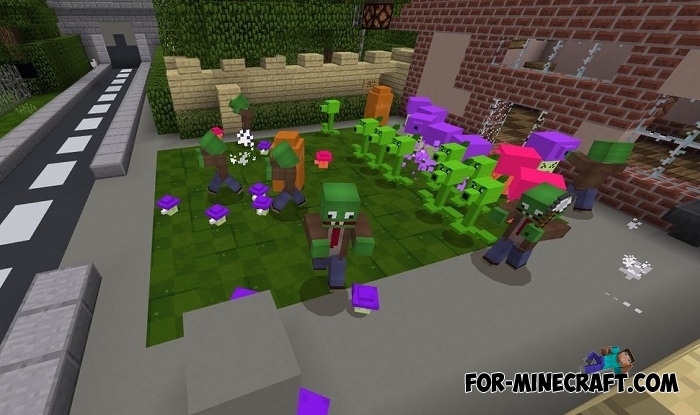 The addon adds 6 plants from PvsZ to Minecraft PE that work like turrets and automatically attack zombies. 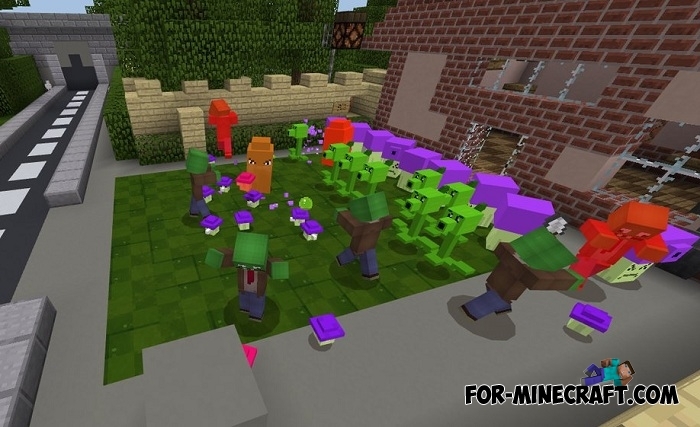 Zombies in turn hate plants and attack them fiercely. Check out the video below to see how it works. In fact, this does not apply to the Plants v Zombies addon which also contains the main plants in 3d. 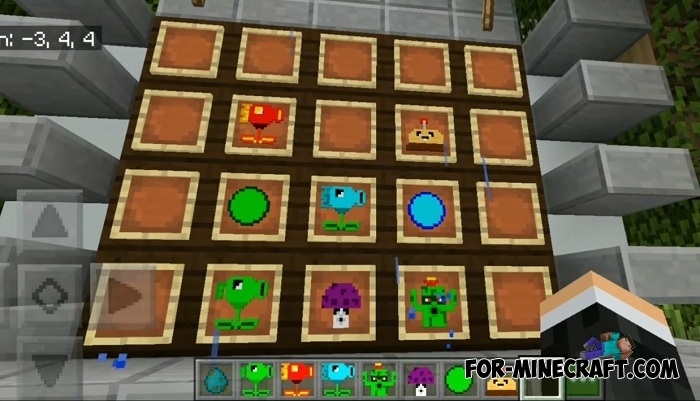 If you are bored with this mini game, then for the safety of your home you can plant the plants around and no one can come close. How to install the Plants vs Zombies 2 addon?